To many people are jumping into risky surgical procedures without considering non-invasive spinal decompression. Spinal decompression using the DRX 9000 is an effective non-surgical method of alleviating pain associated with disc herniation. 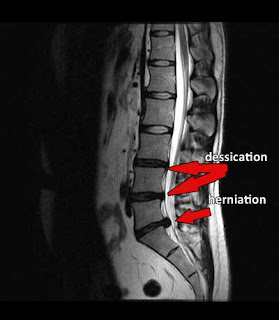 If you suffer with disc herniation you owe it to your self to at least learn about this procedure. or email me and I can send you a 18 page full color information packet that contains all the information needed to learn about this technique, it also comes with a DVD that explains the method and answers most patient questions. This technique is safe, gentle and effective.